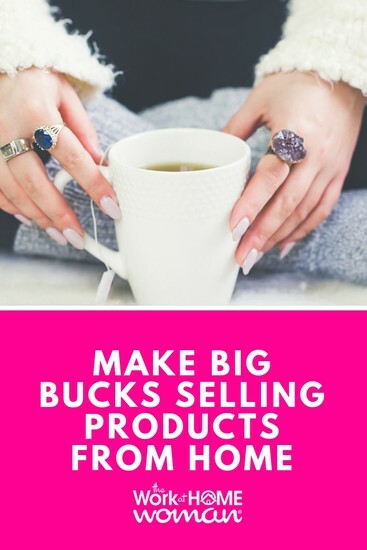 People always ask me, “what are the best products to sell from home“? While this seems like it would be an easy question to answer it really depends on your personality, interests, and passions. The neat thing about selling products from home is there isn’t just one route to take. The products that you can sell are endless (jewelry, food, fashion, beauty, used goods, art, health and wellness products …) and the ways that you can sell vary greatly, as you’ll see in this case study. Let me introduce you to our rock star sellers, Carrie Steuer, a direct seller for Essential Bodywear and Stephanie Maslow Blackman, Etsy seller at Metalicious Jewelry. Not only are these women sharing their stories of success — but they are dishing the dirt on how they do it. Like many women, my story starts out the same. You go to college, graduate, start a career, get married, and eventually have children. I always thought of myself as a career woman. My mother was a working mom and so that was natural to me. I was on the right track, seasoned with scholarships, coveted internships, a fancy college degree, a great job, got married and one day I would have children. I imagined my life as a working mom sprinkled with daycare, carpools, and eat on the run to soccer games. I would be this wonder woman balancing her career and family and live happily ever after. Fast forward to the delivery room when my beautiful baby was placed in my arms, more than anything I wanted to be a stay-at-home-mom. So I embraced my new role of being a mommy. I was elbow deep in baby talk, diapers, car seats, and a talking dinosaur. Although I didn’t regret my decision to be a stay-at-home mom, I knew there would be financial sacrifices. I knew the days of freely dining out, supporting a carefree shopping habit, and annual vacations were now occasional luxuries, instead of the norm. After my second child was two, my desire to reclaim some part of my former self and identity was something I could no longer ignore. I knew I wanted to be a stay-at-home-mom, and I wanted to financially contribute to the family. One fateful Saturday at a craft and vendor show, I stumbled upon a service, a solution, and product that would change my life. The perfect fitting bra! Astounded by the transformation of my new look, I was informed that 85% of women are wearing the wrong style or size bra. I immediately wanted to learn more. I discovered this job was a direct selling opportunity, the kind where you do home parties, own a small business and be your own boss! By the end of my first year, I had not one but two car loans paid off. In my second year, I assumed the mortgage payments on our home. In my third year, I took my family on a Disney World vacation. The following year I earned my company’s vacation incentive and took my family to Hawaii. The next year, I bought my husband a new car. The salesman said in all of his years in car sales; he had never witnessed a wife purchasing a car in cash for her husband. Most recently, the home we purchased in an overinflated real estate market in 2003, we now have the ability to become mortgage free. If you told me nine years ago, my dabbling in direct sales would give my family the gift of financial freedom, I wouldn’t have believed it was possible. My involvement in direct sales has given me the opportunity to have my cake and eat it too. This is an industry that I never considered and even looked down upon and yet it has given me one of the greatest opportunities I could have ever ask for. Today I am a businesswoman, a professional bra fitter, a public speaker, a mentor, an advocate for women’s health and self-image, but most importantly, I am a working mother. Seventeen years ago I was in a boring job and was desperate for some creative challenges where I could use my hands. I took myself to the local art school but the pottery class I was interested in was full. Hmm. The only thing left was a metalsmithing class. So I hammered my heart out and have never looked back. I still have what looks like a tin-can I forged from copper sitting on my jewelry bench. It reminds me how close I came to missing out on my true calling as a jeweler. I started selling on Etsy in August of 2007. Earlier that year I had done a local craft fair and many of my customers asked if I was selling on Etsy. I remember thinking, “Et-see? What kind of name is that?” When I finally Googled it, and I fell in love with all the beautiful, handmade work being sold there. I try to buy everything I can from other artists, from coffee tables to warm scarves. Carrie: In 2013, my 1099 was $120+K. Carrie: Word of mouth. If you are passionate about your product, people will be drawn to what you have to offer. Stephanie: First make sure you have something that is actually salable (and not just to family or friends). Then you have to understand the Etsy algorithm– balancing SEO keywords that people will use to find you while keeping your artistic integrity. You have to understand how people find Etsy through Google. You have to be a great photographer. You have to put yourself into your writing — so customers know it's a real person making your work and not a factory. You have to maintain your shop, answer questions, be open to custom requests, adjust your pricing, give amazing customer service, drive people to your shop, keep them coming back, make more new work while maintaining your orders. I recommend you join a team or two, make sure the team has sellers who have been on Etsy for a while who can take you under their wing. You'll learn a lot from the Etsy blog, but even more from other sellers. And it gives you a sense of camaraderie, being in it together. I've been lucky to have found a best friend through Etsy, you can read about us here. Carrie: Your success is just like dieting, you’re not going to get to your goal weight or healthy with a bunch of excuses. Set a goal and touch your business every day. If you want to be successful, NO excuses allowed. Stephanie: Jewelry is such a saturated category with so many talented artists. So to stand out, you need to have unique products that aren't easily duplicated and then take killer photos. Invest in the best camera your business can afford. Photos are the key to selling anything online. They should be drool-worthy, and they should reflect the aesthetic of your work, your shop, and of you. 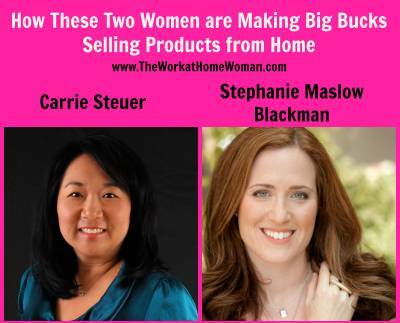 Carrie: When you are your own boss, especially if you work-from-home, set some scheduled time to work your business. Since you don’t have a boss to answer to, it is easy to get distracted. Get up, get dressed, and get ready for work and work those hours you set out to work like you would a regular job. Stephanie: Make sure people want to buy your work. I hate to say it, but it's true. I started out selling a very niche kind of jewelry, and it took me two years to realize it wasn't working. Once I adjusted the type of work I made, to be more in line with what people were asking for but I was too stubborn to acknowledge and do it, I found success with selling on Etsy. So listen to your customers, they'll tell you what they want to buy. Wow, thanks ladies for sharing your stories with us, and congratulations on all of your success! Glad you enjoyed them, Janelle! thanks a lot for this:).